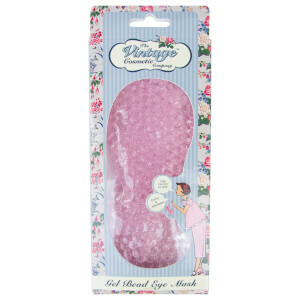 Hold your locks back with The Vintage Cosmetic Company Baby Bunny Twist Make-Up Headband; a stylish yet practical accessory to ensure no product reaches your hair. Crafted from super-soft fabric, the must-have headband is perfect for keeping hair out of the way when applying makeup, starting your skincare regime, or relaxing with a face mask. Coloque a fita no pescoço e puxe sobre a cabeça, certificando-se de que apanha todo o cabelo. Use as orelhas para prender no topo da cabeça com o aperto necessário, para garantir que o cabelo se mantém afastado do rosto.